Latest revision: August 1, 2016. Annuls and replaces all previous versions. Note: the book with the grey cover shown here -- published, initially, without our knowledge or consent, since there was no way to contact us -- was withdrawn from circulation and destroyed in 2014. There are only 25 copies in existence, and only 1 is for sale at the moment, complete with the original "Mark of the Beast" (ISBN number). By contrast there are 48 Gutenberg Bibles and about 100 Stradivarius violins. Not a very smart thing to do in a way, because high prices will simply attract more attention and encourage counterfeiting. The latest fake is the horribly ugly one with the yellow cover published in New Delhi. 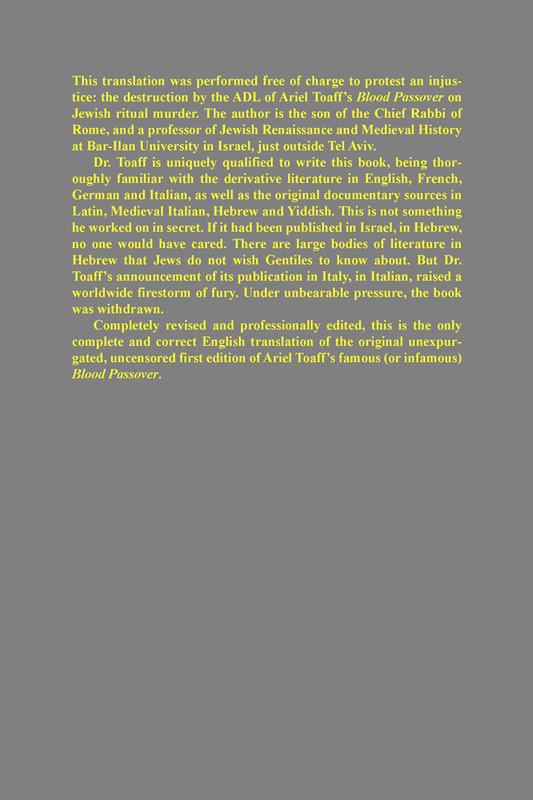 All they did was copy the .pdf off the Israel Shamir website, which is 8 years old, full of misprints; hideous formatting, tiny font, but gigantic covers (9 x 11 inches, although the printed book minus covers is only 3/4" thick; in many countries, if an envelope won't fit through some tiny slot they use at the post office -- much smaller than 11 inches wide -- they charge you a fortune to remail it); truly a monstrosity. At 30 dollars a copy, it was not worth your while going to a copy shop or thesis printer, running off 10 or 20 copies and selling them for cash at flea markets and swap meets, but at 2,000/ + dollars a copy, it is. If you want to go big-time, use a mail forwarding service and offshore company. The best jurisdiction for present purposes is undoubtedly -- and by far -- the Cook Islands: many unique advantages, and not too expensive. Drop-ship the books from China or someplace using a Cook Islands corporate account and return address, and you'll probably never even have to handle the inventory. 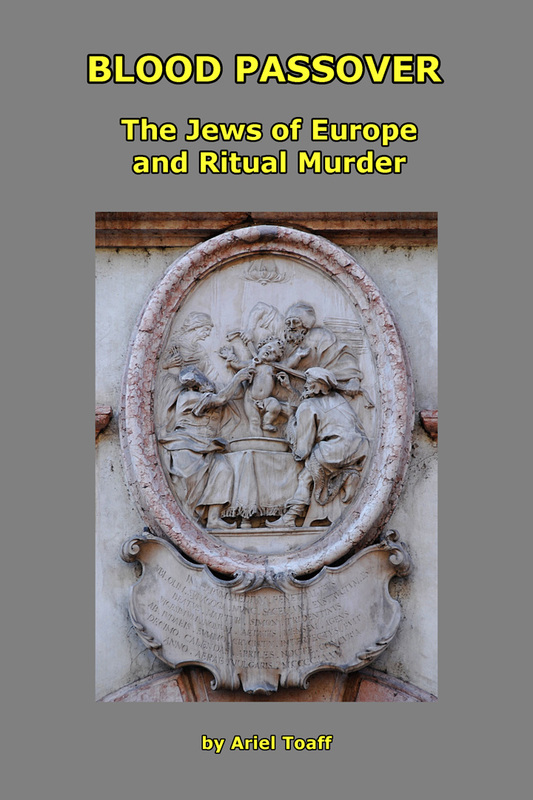 This is a book that belongs to the ages, and to hell with the ADL. Let's flood the world with these books. We like our revenge served cold. Ariel Toaff and the Newly Invented Fairy Tale of the "Voluntary Donors"
Date of formal abandonment of copyright: December 24, 2014. - Gian Marco Lucchese and Pietro Gianetti.